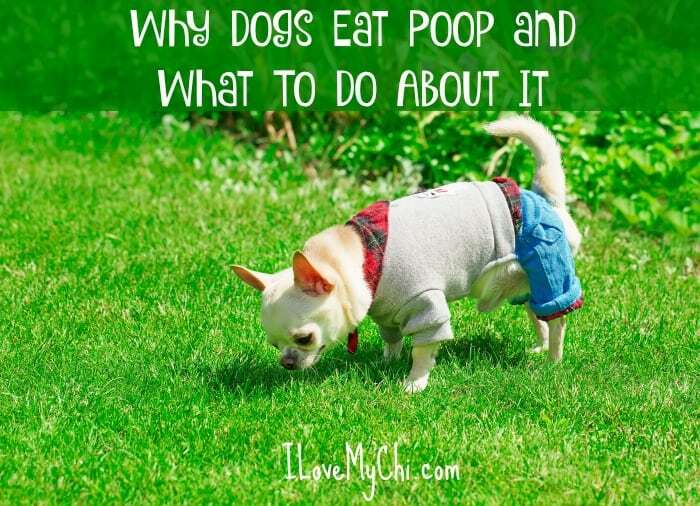 “Why does my dog eat poop?” It’s the age old question. Why do dogs eat something that is so obviously disgusting? One of my dogs used to eat feces and it would actually make me gag when I’d see her do this. So gross! 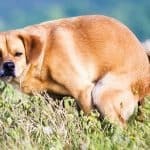 Eating dog poop is technically called coprophagia. There are different theories on this. Some think it’s cause by a mineral deficiency. Some think it’s hunger due to parasites. Some think it was a way primitive dogs ate poop to coat their intestines with good bacteria and to keep their area clean. Some think it’s all psychological. Gross as it is, sometimes they do it simply because they like the taste. Cat poop seems to be especially tasty to them. It can also be a sign of illness so do mention it to your vet. One thing for sure, it’s obviously a dog thing and not just a Chihuahua thing. Should You Let Them Eat Poop? Prevention is best if possible. Pick it up as soon as you see it outside. If you have a cat, get one of those cool self scooping litter boxes. A friend of mine has one and as soon as the cat leaves the box, it automatically picks up the waste and deposits it in a bag inside the machine thing. Every few days, you throw the bag out and replace it with a new one. It’s easier for you and won’t leave any poo in the littler box for your dog to snack on. 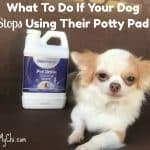 Teach them the “Drop It” command so if you see your dog pick up poo (or anything you don’t want them to have) they will drop it on command. If they do drop it, praise them for doing so. 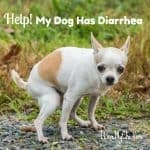 If your dog eats their own feces as soon as they eliminate, keep them on a leash (even in your own yard) so you can pull them away from it after they poop. Then pick it up and throw it away. If your dog only eats his own poop, you can try Forbid and Deter. Some people in our facebook group swear by these and many vets recommend them. A cheaper alternative is to add a little pineapple to your dog’s food. Most dogs love pineapple and it will make their poop less appetizing to them. Meat tenderizer and canned pumpkin will do the same thing Of course, adding any of these things only works if your dog is eating their own poop. 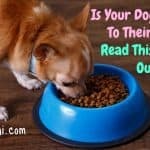 Feed your dog a high quality dog food. You want to make sure they are getting all the nutrients they need. You may want to add a vitamin/mineral supplement too. 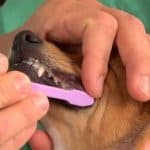 I know many pet parents don’t want to do this but if all else fails, you can resort to using a muzzle when your dog is outside and near feces of other animals. Sometimes dogs will just stop doing this on their own. Other times it’s a life long battle no matter how hard you try to stop it. Have you won this battle with your dog? What worked for you? Hard to believe that little diva in the yellow bows eats poo. We call her ‘Poonibbler’; her brother is ‘Poodribbler’ and it is because he drips little plops around their bathroom area that she feels the need to clean up I think. They are littermates and I have always felt that Lolly feels a certain maternal instinct like a mommy to a new puppy. She probably does feel a maternal instinct Glenna and that is something momma dogs do for the babies. They are both adorable! glenna, your fur babies are beautiful! The yellow looks great! Glad it’s working for you Hope. One of my furbabies ate rat poison. I couldn’t save her, but my other one ate issys poop and nearly died 3 days later. I did manage to save her. Poop eating can be deadly. Yes it can be! They can pick up parasites too from it which can be deadly. I’m so sorry you lost your baby but glad you were able to save the other one. Which one is in the photo? She’s beautiful! Let us know if it works for your chi Shirley. Try it for a week or two then switch back to pineapple.switching back and forth will keep their poop from tasting good again. Can you put him back on the pills the vet gave you? If not, try the Forbid or the Deter supplements mentioned in the article and see if that helps. You can find it at your local pet store or if you click on the links, it will take you to the products on Amazon. Ugh, pee too? Don’t think I have seen that before.